From Mon 23 Jun – Oct 2014, there will be no access to Warwick Arts Centre or parking facilities via Gibbet Hill Road. Please leave plenty of time for your journey and aim to arrive at least 30mins before the event start time. Click here for more information on the road works. In Belarus, any art that is performed or displayed without first passing through the hands of the government censors is considered a criminal activity. 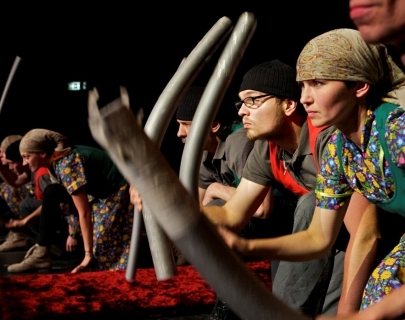 The Belarus Free Theatre is a group of eight actors and technicians who have gained an international reputation for their fearless pursuit of truth, performing anti-government work all over the world. Some of their members are currently in exile, unable to return home for fear of arrest. This documentary contains footage filmed in the country, starting on the day of the supposedly rigged general election in 2010 and following the company on their artistic mission to raise awareness of the situation in their home country and in democratic cities around the world.